Ross Poldark: Old-fashioned Hero for a Modern World at the BFI & Radio Times Festival was very much a celebration of Poldark and its lead actor Aidan Turner. Well, what's not to like? 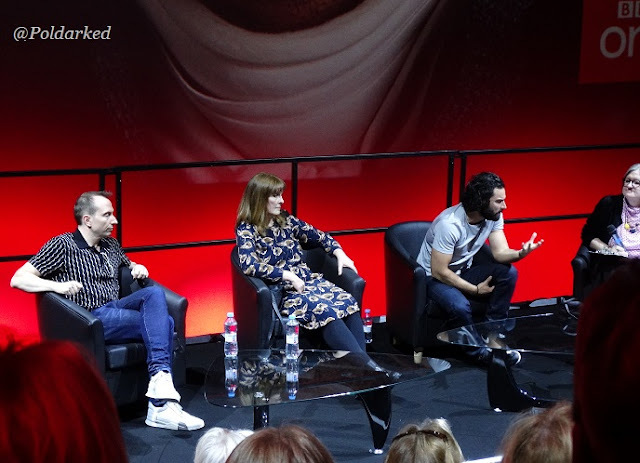 This meant that much of the discussion covered the now-familiar tales of how Poldark came to be made, how Debbie Horsfield came to adapt it and how Aidan Turner got the part of Ross. And, of course, the scything scene. It's official! Series Four has been commissioned and will start filming in September. Aidan had dropped a heavy hint about this in his recent interview with Dave Fanning but it's always nice to have it confirmed. Series Three will air in June. 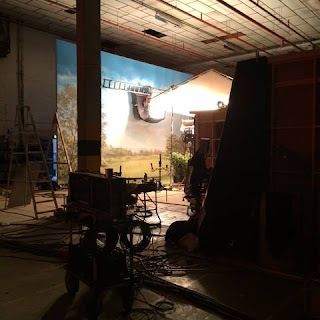 Damien Timmer explained that they wanted to keep the show's momentum going, having felt the gap between series one and two was just too long. Aidan broke his hand filming series three. From his gestures he seemed to indicate it was his left hand. 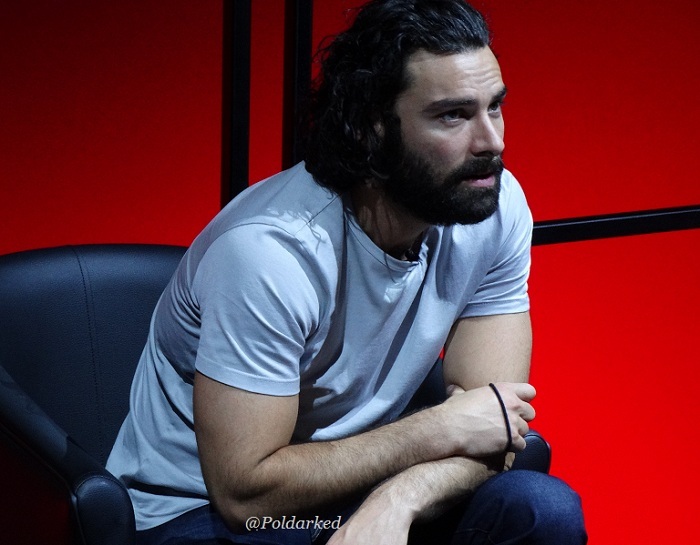 Back in 2015 at the preview screening of Poldark, Aidan teased Eleanor about Garrick not being 'amazing'. We know Aidan is a dog person, so it was interesting to hear him expand on this saying, "He’s a working dog and when he’s on set he’s working but he’s not terribly affectionate and it kind of annoys me that he’s not. He doesn’t want to know you unless you have a treat in your hand and I just don't have time for that!" Aidan's comment that he doesn't think people like his beard was met with noises of approval for it from much of the audience. 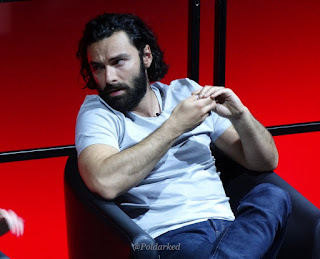 Asked about the paparazzi and, in particular, about a documentary on Channel 4 where a certain member of the paparazzi admitted to making up stories, Aidan said, "It's frustrating when it holds up the shoot and when there are things we are trying to keep private in the show. I don't know if anybody takes these stories seriously but when he says I'm pushing people around - he fabricates the whole thing, which is kind of shocking. But as long as he doesn't get in my way I don't care." Debbie added that the fans are brilliant and are never a problem. 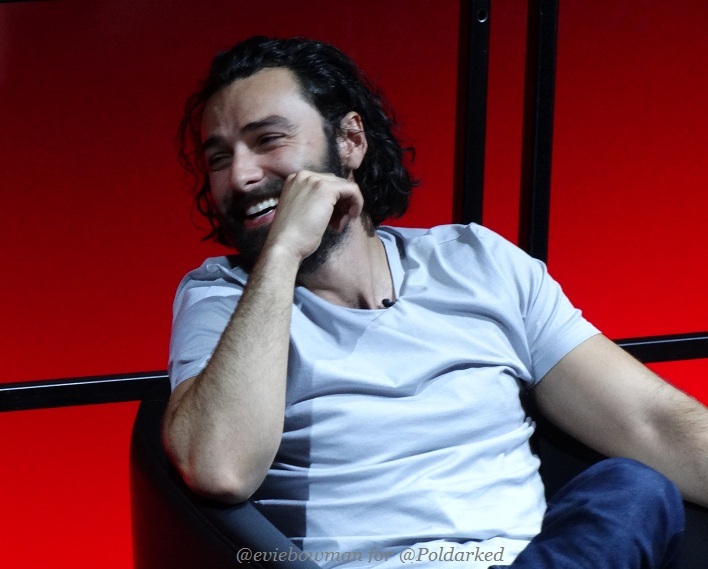 Asked how he gets rid of his Irish accent for the show Aidan joked "Loads of talent." Debbie added, "There's this marvelous thing called ADR." Aidan's favourite British painter right now is Harland Miller, known for his paintings of vintage Penguin book covers.